The first release candidate for Rosie v1.1.0 is in the dev branch of the Rosie repository on GitLab. Among other changes, we have moved the code that interfaces between librosie and languages like Python, Go, C, and Haskell. Those interface libraries are now in the Clients subgroup of the Rosie Community group. In August of 2018, I left IBM and joined the faculty of Computer Science at NCSU. I was a professor before my IBM career, and it’s wonderful to be a professor again. This change has some positive implications for the Rosie project: We are building a small group of researchers and developers who will use and contribute to the project. Is your data structured for humans, not for easy processing? Do you have data elements like CSC316 from which you want to extract the department (CSC) and the course number (316)? But you have other data in geo-coordinates like (35.7692755,-78.6786137). And then there are also lists of items usually separated by commas, but sometimes by semi-colons. A single Rosie pattern can destructure all of these and more. We are about to release version 1.0.0-beta-11 of Rosie Pattern Language, and this may be the last beta release before Rosie version 1.0. Our expectation is that version 1.0 will be released before the end of next month (June, 2018). In this post, we will review the project goals, some of Rosie’s current capabilities, and what we have planned for the coming year. For some time, Rosie has had a Python module, but it was undocumented. Until now, you had to read the code to understand how to use it. In this post, we’ll look at rosie.py, which exposes the Rosie Pattern Language functionality to Python programmers. Regex syntax has been extended over the years to allow matching of characters based on their Unicode properties. While there is considerable variation in the syntax and the behavior across implementations, the Perl syntax may be familar. A few months ago, I was writing a Go module for using librosie when I ran into a problem that appeared to be related to Go/cgo stack allocation. That turned out to be a red herring (no offense to herrings of any color), and we now have a working Go library for Rosie! Why Create a Regex Replacement? The character set syntax in Rosie Pattern Language fixes some of the usability issues with regex character sets, and then goes beyond what some (but not all) regex solutions offer today. In this post, we cover RPL character sets as implemented in Rosie v1.0.0-alpha-8. Go? Sadly, No Go (for now). Edit: The problem has been resolved! See this announcement for details. Rosie v1.0.0 is in alpha release now. Our intention is to release a beta version in early 2018, with a frozen feature set, API, CLI, and REPL interfaces. The beta will be a release candidate for the proper version 1.0.0. Edited Sat Nov 25 17:53:46 EST 2017: Examples were updated to Rosie v1.0.0-alpha-6. Edited Tue Jul 31 08:42:24 EDT 2018: Added example of command help using `-h`, and fixed broken links. I recently gave an IBM Tech Talk (replay available here) on Rosie v1.0. And there’s a subreddit available for discussion and questions. Rosie version 1.0.0-alpha-2 has been released, and the Python module is back! RPL has many concepts in common with regex, and the syntax of RPL reflects this. So if you know regex, you know a lot of RPL already! Regex are hard to debug when they fail to match what you think they should match (and vice versa). That’s why there are so many websites offering regex debugging tools. Rosie expressions can likewise be hard to debug at times, and I think for the same reason: Pattern matchers (parsers, generally) are algorithms with a very large number of states, essentially all of which influence the next step to be taken. There are many ways that a human being’s mental model of the algorithm’s state can be wrong. It’s easy to make a mistake when entering a regular expression on the command line. And, sometimes, we make a hard-to-spot error in a regular expression that is part of a program. Usually, those errors are not caught at compile time — but of course we want to catch as many errors as we can at compile time. Think of your favorite regex tool. How flexible is it when it comes to producing output? In the 1970’s, regular expressions were shown to be astonishingly useful. A compact notation and smart, fast implementations made regular expressions the de facto text search technique for programmers, system administrators, and others. And they remain so to this day! 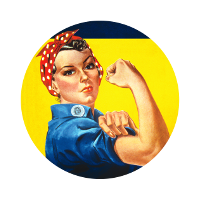 We are working hard developing the version 1.0.0 release of Rosie Pattern Language. The current version is Rosie v0.99k. Rosie is more powerful than regex, easier to use, and faster!